Boys' Pastel Variety Long Sleeve One Piece made from 100% cotton rib knit fabric. 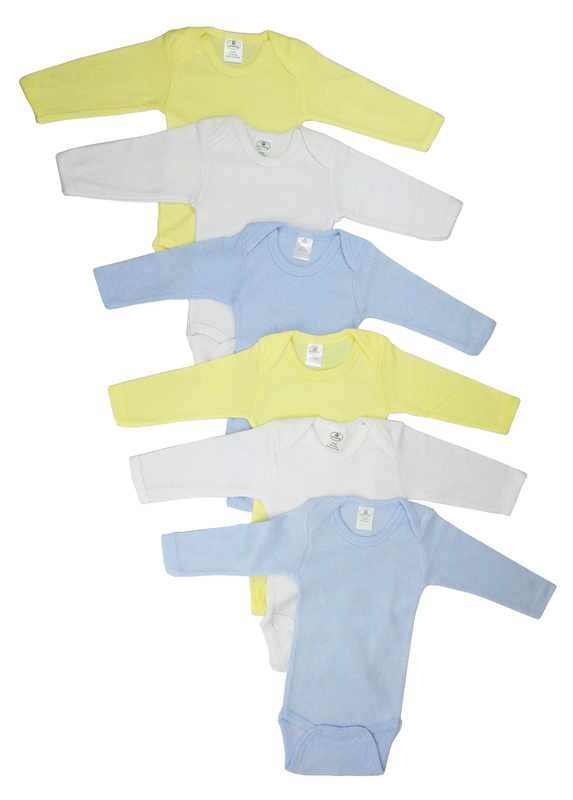 Thes soft long sleeve pastel onezies are a perfect piece to have in your little one's wardrobe this spring. These bodysuits are a great choice to wear as an Easter outfit. They are comfortable, stretchy, and are easy to get in and out of.